I mentioned in one of my Christmas posts that one of my favorite things I received was a book full of family recipes from my mother-in-law. 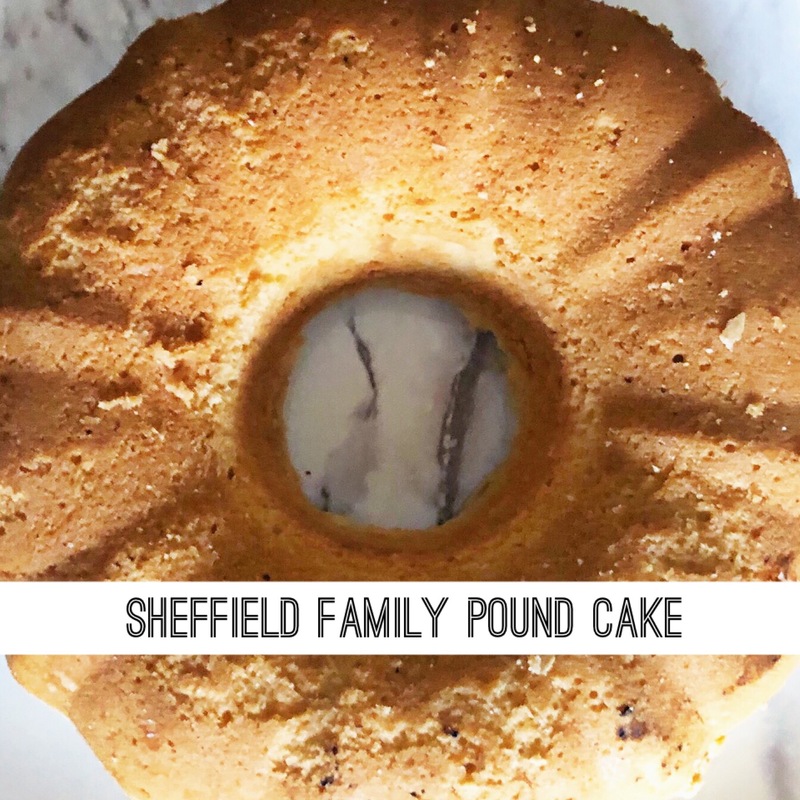 B had mentioned that his mom made an amazing pound cake, and since I had never tried my hand at pound cakes, I knew I wanted to make this my weekend baking project. And it’s literally the easiest thing – the hardest part was making sure to get it cooked perfectly, since the recipe card didn’t have a cook for time. I’ll tell you how long I cooked it for, but use your own discretion of course. It came out beautifully – dense and delicious! Give it a go! I do love a good pound cake!!!! I bet your house smelled amazing when this was baking!!! It smelled so good! And there’s like zero ingredients! Sign me up. YUM… hardly any ingredients, which is just what I like! Thanks for sharing. Yes! That’s definitely the biggest perk!